In the latest version of MEX a handy new risk calculator has been included, the purpose of this calculator is to assist in creating appropriate job priorities for Work Orders, Requests and Preventative Maintenance policies. This is achieved by creating answer sets that have scores assigned to them, these scores are then added together to determine the overall priority of the item. Using or modifying the existing answers is highly recommended as the scores are already tuned correctly but you are still able to create your own answers and scores. 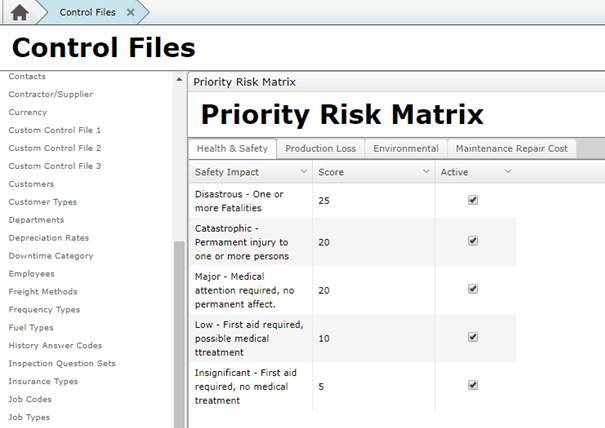 The setup of the Priority Risk Matrix is all done within control files, initially you should setup your questions and answers in the “Priority Risk Matrix” tab, being concise and descriptive in your questions and setting appropriate scores is very important. The questions to be asked from the perspective of if the task isn’t carried out what will be the consequences? The Risk Ratings and Priority Risk Matrix work hand in hand to determine which priority is to be assigned, the left column of each row determines what score the answers have to reach to be that level of risk, the right column is the upper limit of scoring for that row. Using the Priority risk matrix is simple, in the latest version of MEX there is an ellipsis button next to the Priority drop down that brings up the Priority Risk Matrix calculator where a user can select answers to each question. 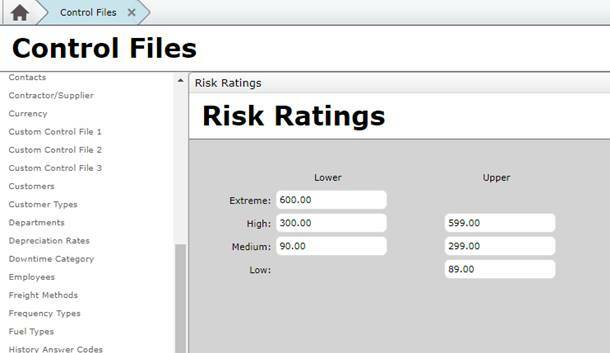 This is the Priority Risk Matrix form where the user can answer questions to calculate the risk of a specific job, the score of each answer is shown on the right with an aggregate underneath and a priority rating with 1 being low and 4 extreme. Clicking OK will return you to the Work Order’s details and insert the calculated priority. Have a go and see how you can use this new feature in your operation. If you have any questions please don’t hesitate to contact MEX Support at support@mex.com.au or call +61 7 3392 4777.